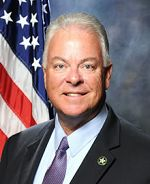 Robert R. Pusins is a retired (2018) law enforcement professional and most recently served as an Executive Director for the Broward Sheriff's Office (FL). He has more than 35 years of progressive law enforcement experience, including over 30 years with the Fort Lauderdale Police Department (FL). He has held the title of police officer, field training officer, detective, sergeant, captain, major, assistant police chief and executive director. Mr. Pusins is a graduate of the FBI National Academy. Robert has been retained in civil and criminal cases, state and federal, in Alabama, Arizona, Connecticut, Florida, Idaho, Illinois, Kansas, Louisiana, Massachusetts, Michigan, Mississippi, Missouri, New Mexico, New York, North Carolina, Ohio, Pennsylvania, South Carolina, Tennessee, Texas, Vermont, Washington D. C., West Virginia and Canada. He has consulted on police misconduct, arrests, use of force, deadly force, wrongful death, police pursuits, police tactics, E-911 Communications, policies and procedures, and hiring and retention. • Preparation of written opinion reports. Robert R. Pusins provides professional case consulting services including comprehensive case evaluations and reviews from the perspective of proper and accepted police practices and procedures. Included is an extensive review of all case file materials and if necessary and requested, a site inspection visit. A review of the law enforcement agencies written policies and procedures is a critical step to determine both officer compliance and the extent to which the agency adheres to nationally recognized standards. This process is important for both plaintiff and defense. Robert Pusins is a current law enforcement professional as an Executive Director for the Broward Sheriff's Office (FL), the largest, fully accredited sheriff's office in the US. He has over 32 years of progressive law enforcement experience, including supervisory, management and command positions. He served with the Fort Lauderdale Police Department (FL) for over 30 years. He is also a graduate of the FBI National Academy. He has served in operations, investigative and administrative commands and held the title of police officer, field training officer, detective, sergeant, captain, commander, major, assistant police chief, and since January of 2013, executive director. Since 1997, Robert has been retained for his expertise in civil and criminal cases, federal and state, in Arizona, Connecticut, Florida, Idaho, Kansas, Louisiana, Massachusetts, Michigan, Missouri, New York, Ohio, Pennsylvania, South Carolina, Tennessee, Texas, Vermont, Washington, D.C., West Virginia and Canada. He has consulted on cases involving arrests, use of force, deadly force, wrongful death, police pursuits, police tactics, E-911 Communications, policies and procedures and hiring and retention. Robert R. Pusins provides professional case consulting services to attorneys and governmental agencies. He has been qualified and testified as an expert in police practices and procedures in Arizona, Connecticut, Florida, Louisiana, Massachusetts, Michigan, Missouri, New York, Ohio, Pennsylvania, South Carolina, Tennessee, Vermont, Washington, D.C., West Virginia and Canada. He has never been disqualified as an expert. Quality of services, attention to detail and a critical analysis of all aspects in each case have resulted in strong client partnerships and repeat clients. Recipient of over 100 awards and commendations during a 30-year career in law enforcement. "The Police Response to Homelessness, the Fort Lauderdale Model", The Journal, the Voice of Law Enforcement, Volume 6, Number 4, Fall 2000.